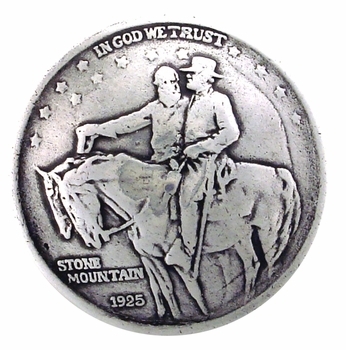 STONE MOUNTAIN JACKSON LEE REPRODUCTION COIN CONCHO Screwback sterling silver plated just like original coin. Chicago Screw Back Szie 1 1/4". No sales tax unless shipped to California. For Question or to order call Toll Free 1-888-692-3587.